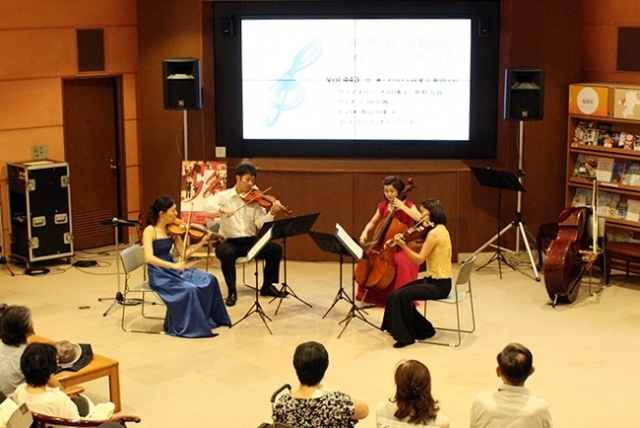 ACROS Fukuoka Floor Concerts are free 45-minute concerts held on the 1st and 3rd Thursdays of every month at lunchtime. The programs feature music from a range of genres, performed mainly by local professional artists. The Communication Area, the venue for these events, is a place where people can stop by and enjoy a cup of tea, thus providing a more homely atmosphere than typical concert halls. COPYRIGHT © ACROS Fukuoka ALL Rights Reserved.